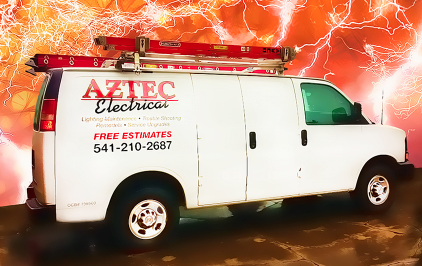 At Aztec Electrical, we are full-service, residential lighting designers and installers committed to creativity, innovation and safety in both interior and exterior household illumination. Our trained and fully-certified team of professional electricians service Rogue Valley homeowners to provide top-tier customer service and create some of the brightest, most beautifully lit homes in the valley. We manage all aspects of lighting installations from mapping out design plans and color to calculating dimensions, scale, and texture for optimal comfort, aesthetics and safety. One new energy saving feature are occupancy sensors. We can install occupancy sensors anywhere in your home that turn on when motion is detected and off when the specific room, driveway, or yard is empty. 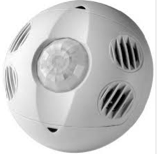 Occupancy sensors increase energy efficiency, save money and make your home a more dynamic, secure environment. Click here to visit our web site and learn more about our electrical services.